December 5, 2017 1:15 P.M.
Today, Ontario passed legislation to improve the efficiency and competitiveness of the construction sector. Referring construction lien claims under $25,000 to small claims court. Strengthening Ontario's construction laws is part of Ontario's plan to create fairness and opportunity during this period of rapid economic change. The plan includes a higher minimum wage and better working conditions, free tuition for hundreds of thousands of students, easier access to affordable child care, and free prescription drugs for everyone under 25 through the biggest expansion of medicare in a generation. 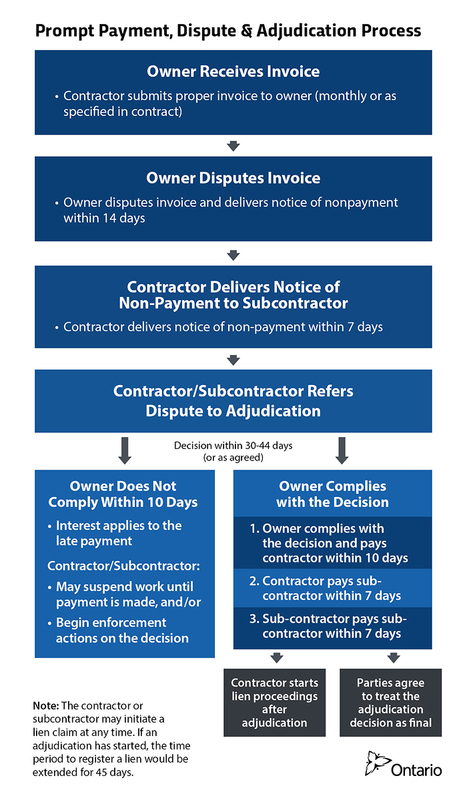 The Construction Lien Act was established in 1983 to regulate how payments are made so that workers who provide services or materials during a construction project are paid for their work. In 2015, construction law experts Bruce Reynolds and Sharon Vogel of Borden Ladner Gervais LLP led the first thorough and comprehensive review of Ontario’s construction laws in 34 years. The proposed legislation is based on the recommendations in the report and feedback from experts and industry groups. 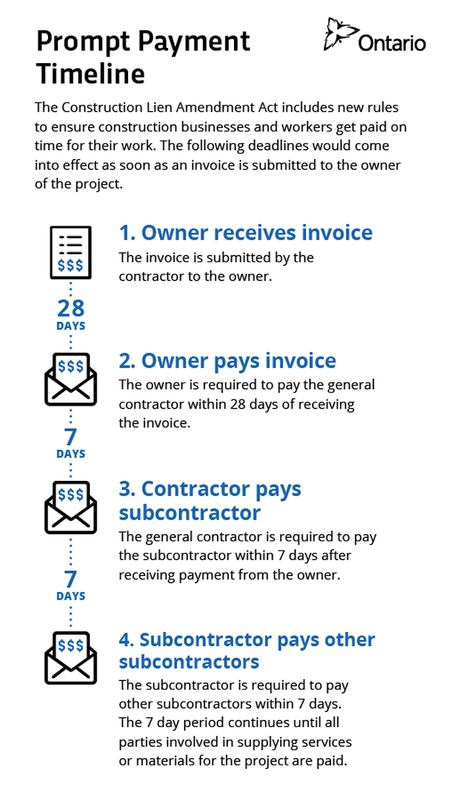 Late payment is a common problem in all sectors of the construction industry. Between 2002 and 2013, the average collection period in construction went up from approximately 57 to 71 days. A construction lien is a charge or security on property that can be registered by anyone who has supplied services or materials to improve it. A holdback is a requirement that all contractors and subcontractors withhold 10 per cent of the cost of the services or materials supplied on a project. This helps to ensure that there is enough money to satisfy any lien claims that may arise. The amendments to modernize the lien and holdback process will take effect first, with the prompt payment rules and the adjudication process following once the body responsible for appointing adjudicators is in place. The government is committed to providing appropriate notice to industry stakeholders before any changes are effective. In addition, stakeholders will have the opportunity to provide input on the supporting regulations. Details about Ontario’s next steps will be made available early in the New Year.